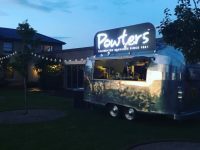 Powters is one of Newmarket’s oldest established family businesses, dating back to 1880 and now in its fifth generation. I have always been a fan of their sausages and I was excited to see that they have recently extended their range. Fellow sausage enthusiasts may know that the Newmarket Sausage, along with the Cumberland, is one of only two PGI (protected food name) sausages in the UK and is one of only about 65 food and drink products to share this distinction. Newmarket sausages have a reputation for taste and quality which spans over 160 years! 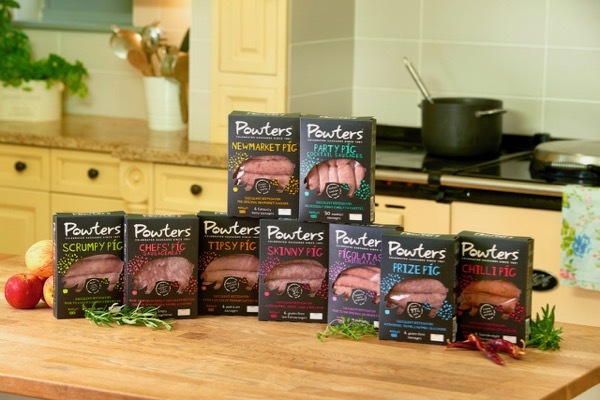 Powters know their sausages and they are all hand crafted with care in small batches using traditional methods from minced free range British pork. This pork is then combined with secret seasonings and herbs to perfectly complement each recipe. Newmarket Pig – These are succulent and moorish. The original and, in my view one of the best sausages in the country. This recipe is also available as the Party Pig in cocktail size, Pigolatas in chipolata size and even in sausage meat form as the Chefs’ Pig. They are very good, this is a great recipe and I recommend you try some as soon as possible. Just enough pepper to give them a kick but not too much because of the balance with the nutmeg. These are excellent sausages. The Prize Pig (gluten free) and the Skinny Pig (low fat) are also welcome additions and both taste excellent and not like they are lacking in any way. The Tipsy Pig and Scrumpy Pig are the sausages in the range that have Abbot Ale (from Greene King) and West Country Cider respectively and they are incredible. Both balanced and enhanced by their respective additions. 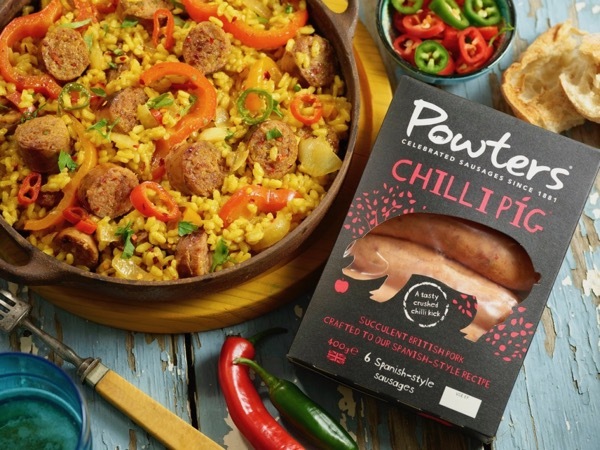 Die hard suffolk fans will love the fact that a Powters, a suffolk institution itself, is working with another suffolk institution in Greene King to create sausage perfection! These are all excellent sausages and I have enjoyed trying them immensely. Just when I thought things couldn’t get any better I tried the Chilli Pig. These are in a whole new league! Awesome flavour, real kick, these incredible sausages contain red and green peppers, chilli and garlic. A pretty versatile sausage that would be just as flavoursome on the BBQ or in a paella.